At Cannonball, we concentrate on instruction and drilling for beginning to advanced wrestlers. We offer wrestlers the opportunity to reach their full potential as competitors, both on and off the mat. Classes include technique and fundamentals, video analysis, cardio training, nutrition, strength and circuit training, mental preparation and visualization. Apex Wrestling is now the official wrestling program at Cannonball! Damion grew up in Garfield, New Jersey and was a three time New Jersey State Champion and four time finalist for Bergen County powerhouse St. Joseph, Montvale. Damion was also an Asics All-American Team member and invited to the coveted Dapper Dan invitational tournament. Damion was also a fierce freestyle and greco-roman competitor placing top 3 in both divisions in Fargo multiple times. Damion wrestled at the University of Michigan were he was a two time NCAA Division I All-American and led the team in wins and pins in the 1999-2000 season. In the 1998-1999 season he was the University of Michigan’s Most Out Standing Wrestlers at the Big 10 Championships. Having coached recreation programs, high school and NCAA Division I and III programs Damion brings the a wealth of coaching experience to Apex. Damion has coached at St. Mary’s in NJ, University of Pennsylvania, West Point, and Stevens Institute of Technology. Generally considered one of the best wrestlers in New Jersey Wrestling History Damion brings all of his knowledge to each and every practice in an easy to understand and well throughout way. He is known for his match strategies, explosive leg attacks, intensity and fundamental approach to top and bottom wrestling. Diego has been a member of the Apex Wrestling School staff for 4 years. He comes to Apex as a coach after having been a competitor for Apex for many years. He is in fact Apex Wrestling’s first NJ State Champion! He is also the only wrestler in Paramus Catholic history to win a state championships and is also the schools only 100 career win earner. Diego attended Johnson and Wales University where he was a four year stater. 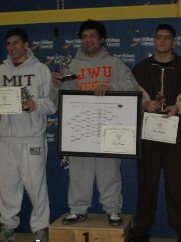 A two time Division III National Championship Qualifier Diego was one of the most agile and technical heavy weights in all of college wrestling. Often considered undersized for his weight class Diego used his speed and technique to beat wrestlers much bigger than him. Diego was an Head Assistant coach at both Bergen Catholic and Don Bosco Prep two of the top Programs in New Jersey. He has trained some of NJ/Nations best wrestlers including Johnny Sebastian and Zack Chakonis. Diego is one of the best upper weight coaches in the entire state. He teaches great fundamental techniques that work for upper weights as well as moves that are typically considered light weight techniques such as the inside trip and ankle pick. Alex comes from Belarus and is the most decorated member of the Apex Coaching Staff. Alex was a 2X University World Champion in Freestyle, which included a win over 3X NCAA National Champion and Olympic Silver Medalist Stephen Abas. A 7x Belarus National Champion Alex wrestled all over the world and was ranked number one briefly. He placed as high as 5th in the world championships, won the prestigious Yargin International Tournament twice and frequently made finals appearances in the NYAC, Sunkist and Dave Shultz International tournaments. Alex’s style blends his eastern European wrestling training with a love for Greco-Roman and Judo techniques. Alex was known for his front headlocks and ability to throw from a variety of positions.Alex has been with Apex for over two years and worked as an assistant coach for David Brearley High School in Kenilworth, NJ. While there he helped guide the team to the 2011 Class B State Sectional Championships. He also works as an assistant coach for the Unveristy of Pennsylvania and the private coach of 2011-2012 World Team competitor Matt Valenti. Alex has brought a more worldly approach to the Apex system that continues to pay divends for our athletes on a weekly basis. He also is developing our freestyle and greco-roman program. 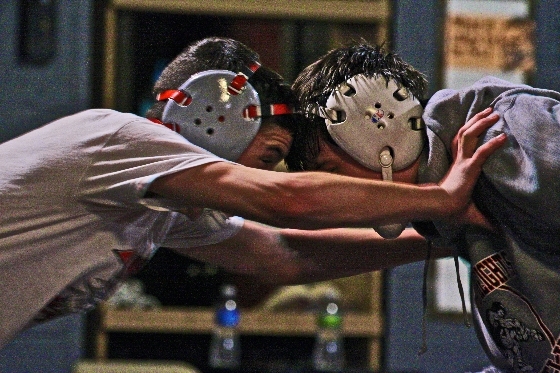 Our approach to wrestling is very basic: be smart , outwork your opponent. Be smart; at Cannonball Gym we recognize that every year all different types of individuals with different strengths and weaknesses see multiple levels of success on the wrestling mat, however, the attributes they all seem to have are ; wrestling awareness, work ethic, and the knowledge to understand ones own individual strengths and weaknesses. These skills will allow a wrestler to maximize and master what he can accomplish as an individual. At Cannonball Gym we help our wrestlers understand how to maximize their individual advantages to reach their optimal performance. There is no physical cookie cutter image of a great wrestler, but there is one for mentality. You don't have to be the greatest athlete to be a great wrestler, but you do have to own the right mentality, mental edge, focus, heart, and fight. At Cannonball Gym wrestlers will learn to have the mentality and heart of a champion. Outwork your opponent; at Cannonball Gym we understand "the will to win is nothing without the will to prepare." The combination of our grueling wrestling work-outs with our strength and conditioning facility is what separates us from everyone else. We have put together one of the best strength and conditioning teams and facilities in the area. Cannonball provides an environment for wrestlers where they will have the opportunity to train like a true champion. 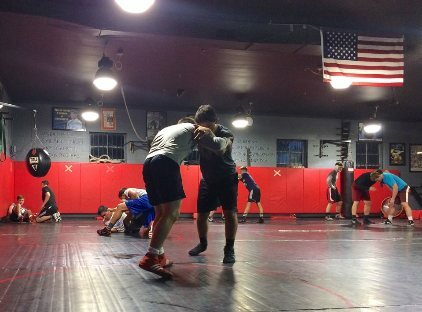 Included in our wrestling packages are circut training classes that are world class and will benefit the wrestler in many ways. we understand the level of strength and conditioning it takes to be the best, and our wrestlers will be pushed to their limit and beyond to reach their optimal performance. At Cannonball Gym we provide an environment that demands hard work, and our wrestlers will have the opportunity to experience this with our strength and conditioning team through various training techniques : Bulgarian bags, circuts, log presses, plyo-metrics, tires, weights, ropes, kettlebells, ladders, sleds, olympic lifts and some of the latest equipment. At Cannonball there is no off season.